After host cell invasion, Toxoplasma secretes a variety of dense granule proteins (GRA proteins) from its secretory dense granules, which are involved in the biogenesis of the parasitophorous vacuole (PV). TgGRA8I is predicted to contain proline-rich domains, which are structural features of some cytoskeleton-related proteins. In agreement with this observation, previous proteomic analyses revealed the presence of TgGRA8I in the Toxoplasma sub-pellicular cytoskeleton. In the present study, we show (1) by docking analyses that TgGRA8I may interact with both Toxoplasma β-tubulin and actin; (2) by immunoelectron microscopy, proteomic, biochemical, and cellular approaches that TgGRA8I associates with sub-pellicular microtubules and actin at the parasite sub-pellicular cytoskeleton; (3) that type I parasites (RH strain) lacking the GRA8 gene (RHΔku80Δgra8) exhibit loss of conoid extrusion, diminished cell infection, and egress capabilities, and that these motility impairments were likely due to important alterations in their sub-pellicular cytoskeleton, in particular their sub-pellicular microtubules and meshwork. Parasites lacking the GRA4 gene (RHΔku80Δgra4) did not show modifications in the organization of the sub-pellicular cytoskeleton. Collectively, these results demonstrated that TgGRA8I is a dense granule protein that, besides its role in the formation of the PV, contributes to the organization of the parasite sub-pellicular cytoskeleton and motility. This is the first proline-rich protein described in the Toxoplasma cytoskeleton, which is a key organelle for both the parasite motility and the invasion process. Knowledge about the function of cytoskeleton components in Toxoplasma is fundamental to understand the motility process and the host cell invasion mechanism. 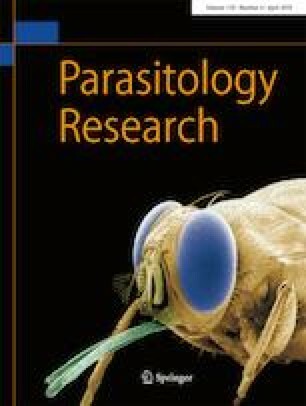 Refining this knowledge should lead to the design of novel pharmacological strategies for the treatment against toxoplasmosis. The online version of this article ( https://doi.org/10.1007/s00436-019-06298-7) contains supplementary material, which is available to authorized users. The authors are indebted to C.J. Beckers (Department of Cell and Developmental Biology, University of North Carolina, Chapel Hill, NC, USA); D. Soldati-Favre (Department of Microbiology and Molecular Medicine, CMU, Faculty of Medicine, University of Geneva, Switzerland); L.D. Sibley (Department of Molecular Microbiology, Washington University School of Medicine, St. Louis, MO, USA); and M.F. Delauw (CNRS UMR 5525, Université Grenoble Alpes, France) for sharing reagents. RDDM, CTGL, and RMG were supported by the doctoral fellowships #324969, #324983, and #394378 from CONACyT-México, respectively. We thank Mónica Mondragón Castelán and Carlos J. Ramírez Flores for her technical support. Micrographs were obtained at the Electron Microscopy Unit (LANSE), CINVESTAV-IPN, México. Tandem Mass Spectrometry analysis was performed at the Proteomics, Genomics and Metabolomic Facility, LANSE-CINVESTAV-IPN, México.